At a time when more people are delaying marriage or writing it off altogether, couples ready to walk the aisle will appreciate a frank and trusted resources to help them start marriage on the right foot. Engaging and easy-to-use, Before You Say “I Do” is full of tried-and-true wisdom to help you plan for your future and build a lasting relationship with the one you love. Wes Roberts is the founder and president of Life Enrichment and the Kristos Institute. Located in Parker, Colorado, these consulting and counseling ministries are dedicated to strengthening Christian leaders around the world. 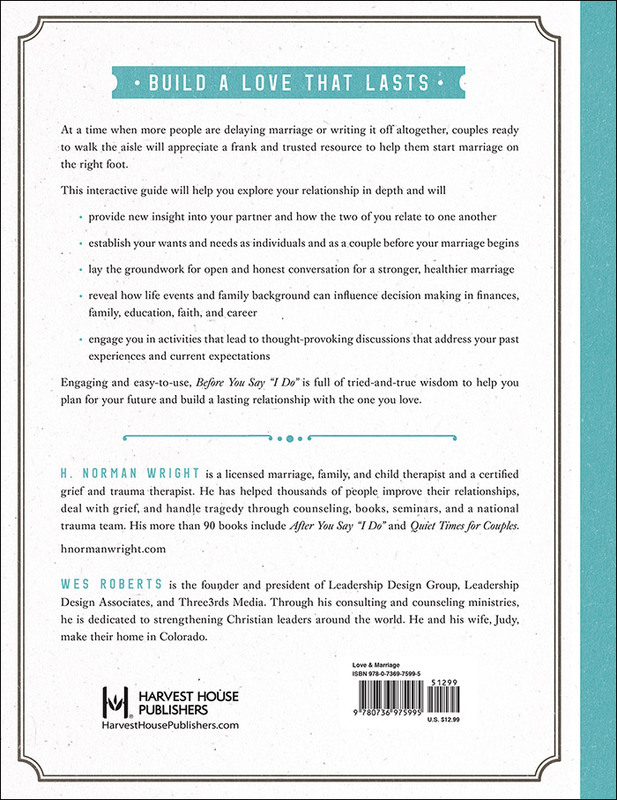 "I think this practical 95-page workbook should be required reading by all engaged couples. Just going through the interactive surveys, thoughtful questions, and real-life examples will help the happy couple as they have fun identifying their differences. Equipped, they can clarify role expectations, spiritual direction, handling of finances, establishing family relationships, and all those other deal-breakers before they take the plunge." 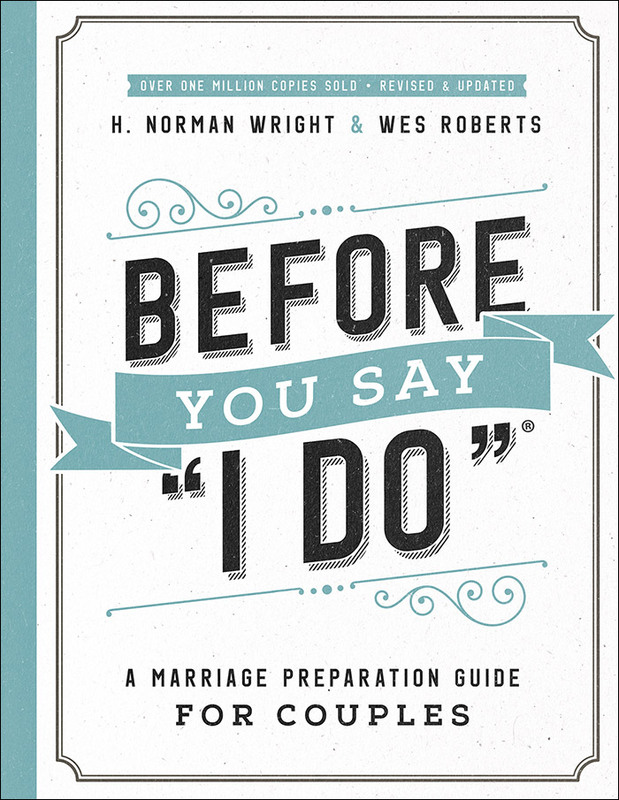 "Before You Say 'I Do': Building a Spiritual Foundation for Your Life Together by family communication and marriage expert H. Norman Wright is a collection of meditations for Christian couples contemplating the holy physical and spiritual union of marriage. Wright deftly addresses several key issues that couples must discuss and consider, including role expectations, joint finances, the difficulty of balancing family and career, establishing a healthy sexual relationship, and more. A solid foundation of prayer, trust in Jesus Christ, and the wherewithal to do God's will and honor one's beloved partner in life underscore the message of this thoughtful, thought-provoking, and highly recommended guidebook."